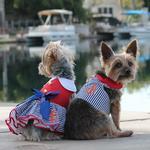 All paws on deck! 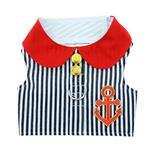 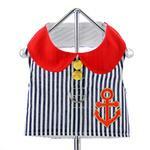 Pups will feel ready to take on the open seas with the Sailor Boy Dog Harness Vest. 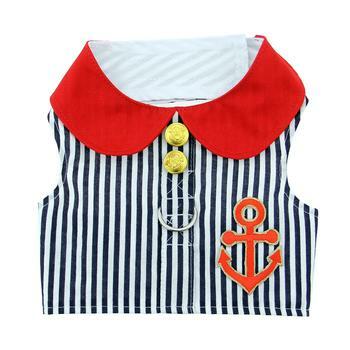 This dog fashion harness features an anchor and brass button embellishments and includes a matching leash, built in D-ring and has heavy duty hook and loop closure for added safety.